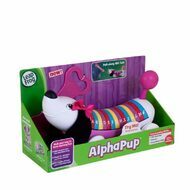 Make letter learning a howl with LeapFrog AlphaPup! Toddlers ages 12 to 36 months will love exploring the ABCs as they walk their adorable puppy pal. AlphaPup is the perfect learning companion, singing the ABCs as he wobbles along behind your child. Children can touch colorful buttons to hear letter names, letter sounds, words that begin with each letter and darling doggie phrases. Pull along to hear the ABC song—learn the alphabet and letter sounds. - Letter learning. Colorful stripes on AlphaPup's sweater double as buttons that trigger letter sounds and names to help teach children phonics and early vocabulary. - Pull-along play. 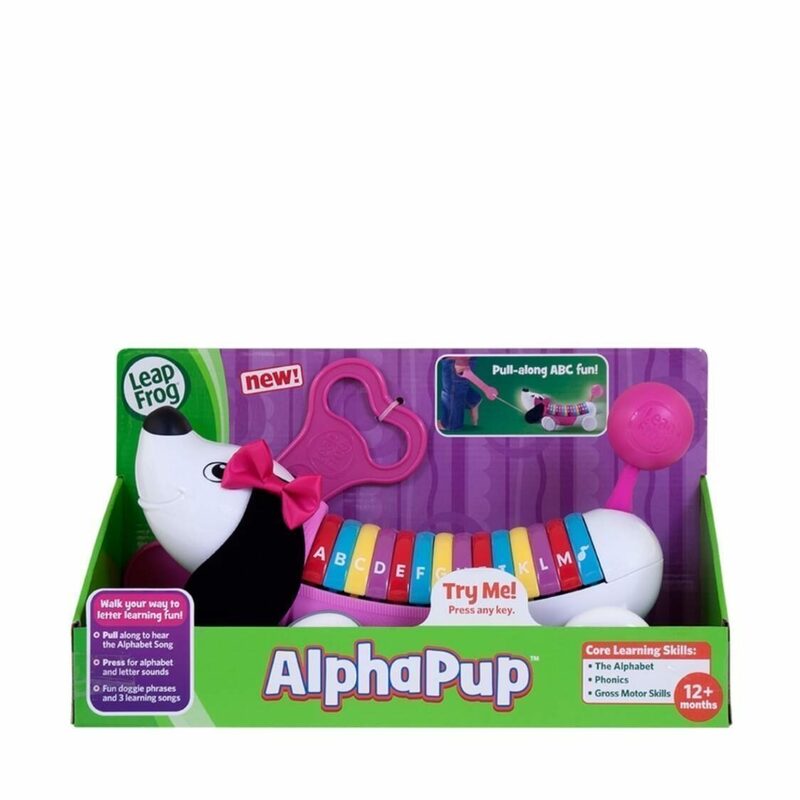 Pull AlphaPup's leash or press the music note button to sing along to three learning songs, and press the bone button to learn fun doggie phrases. - Soft ears. Playful pup makes a sweet pal with velvet-soft floppy ears that are fun to pet. - Walk & wobble. This pup loves to show off his strut! With his nose held high, AlphaPup trots along with paw-shaped wheels that create a cute swagger while on the go. - Wagging tail. AlphaPup can’t hide his excitement for learning with a tail that wags.